What Are The Best Products for Locs? What are the best products for locs? This question will inevitably produce different answers depending on who you ask because there are so many varying philosophies on hair locking. To better phrase the question, you should consider asking “what products will keep my locs free of build up and healthy?” And the answer to that question is a product line specifically formulated for locs— NuGrowth Essentials! The products featured in the NuGrowth Essentials collection are some of the best products for locs because they’re formulated to nourish the hair and scalp. The NuGrowth essentials collection contains all the basics for moisturizing, cleansing, conditioning and protecting your locs. Maintaining moisture in locs is critical for length retention and the overall health of the hair. The NuGrowth essentials collection features two moisturizers for locs— “Pure Scalp” and “Moisture Infusion”. 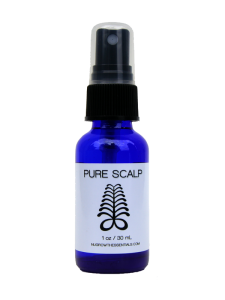 The Pure Scalp is a must-have product to alleviate itchy scalp and/or to control odor and sweat after a workout. The Pure Scalp is also great for Sisterlocks because it is light enough to be used immediately after installation. The moisture Infusion is an herbal-infused mist with hydrating ingredients such as rosewater and aloe. 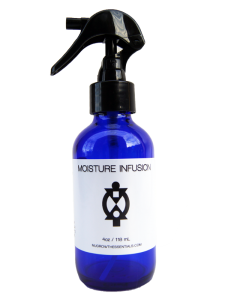 You can use the moisture Infusion on a daily basis as a refresher for your locs and stop worrying about dryness. 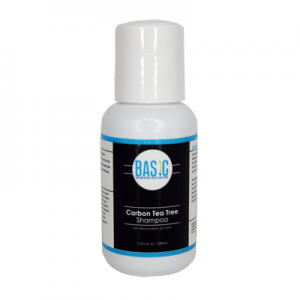 The Carbon Tea Tree shampoo is one of my favorite shampoos because it is sulfate-free and uses natural ingredients to detoxify the hair and scalp. When I use it in the Salon, most of my guests describe the feeling as “magical”! The Scalp Revitalizer is a must have for starter locs and newly established sisterlocks because it allows you to thoroughly scratch your scalp and lift flakes without disrupting for the locking process. Since it is not recommended that you put conditioner in locs, you should opt for herbal and hydration treatments. The NuGrowth Essentials collection features several herbal rinses that are easy to do at home. 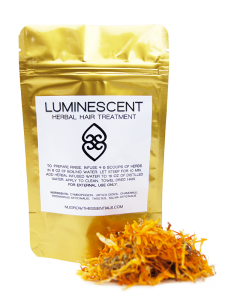 Each herbal hair treatment contains a restorative blend of herbs that help to will help to soothe the scalp, nourish and strengthen the hair without causing buildup. 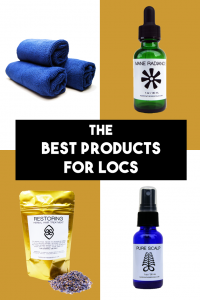 When you first start your locs, it is very exciting but it can also be overwhelming if you’re not sure what products to use on your starter locs. Not anymore— cue the Starter Locs Kit! 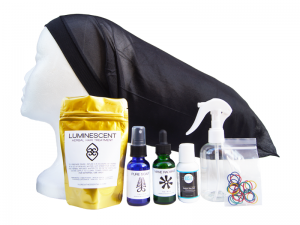 The Starter Locs Kit contains all the of best products for your locs in one bundle along with instructions for how to use them. 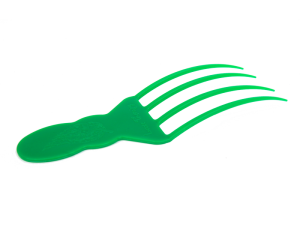 Investing in the Starter Locs Kit will ensure that your locs are starting off with a clean foundation! The NuGrowth Essentials Collection has the best products for locs and virtually everything that you’ll need to care for your locs at home. And if you’re not quite sure which products would work best for you, you can reference the “how to use” videos or schedule a “Virtual Hair Assessment“.